The name of the tablet is Zenpad 3 8.0. 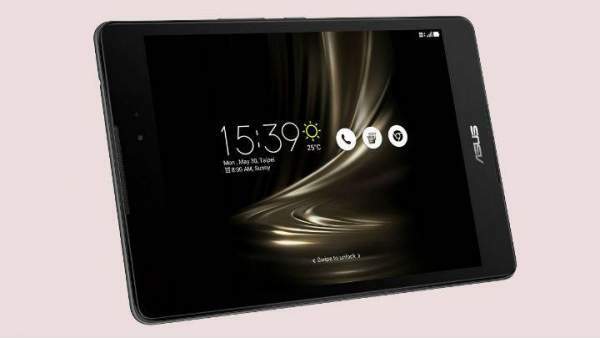 It is basically a smaller version of Zenpad 3S 10 which can be called an alternative to Zenpad Z8. The tablet features a 7.9 inches LCD with a resolution of 2048 x 1536 pixels. This means that the device provides a 2K premium display to the users who will completely take the video watching experience to another unmatched level. The smartphone is powered by a Qualcomm Snapdragon 650 processor clocked at 1.8 GHz coupled with Adreno 510 GPU. This will make the gaming experience smooth and provides an ultra smooth experience in multi-tasking and other operations. The phone comes in different variants regarding memory. The company is offering 16 GB and 32 GB internal memory variants and 2 GB and 4 GB RAM variants. The internal memory of the device can be further expanded up to 128 GB using a microSD card. The company is offering additional offers of 5 GB of Asus Web storage and 100 GB of Google Drive storage for free to their customers. The smartphone supports multi-touch support through Asus’ Tru2Life+ technology. The phone runs on Android v6.0 OS that is bundled with ZenUI 3.0. The device is powered by a 4,680 mAh non-removable battery. The company is promising to deliver up to 1 hours of backup. The smartphone features an 8-megapixels primary camera and 5-megapixels secondary selfie shooter camera. This device can click some pictures and videos with these amazing shooters present inside the device. This device also has premium quality audio speakers on its board for the better quality of the music. Along these special specifications, the phone also includes basic facilities like 4G/LTE, Wi-Fi (802.11 ac/b/g/n), Bluetooth v4.0, GPS, and USB type-C. The USB type-C fastens the transfer rate of the data with your PC. The device also comes with sensors like gyroscope and e-compass sensor along with the proximity sensor. The device measures 205.4 x 136.4 x 7.57 mm and weighs about 320grams. This smartphone also has specs almost similar to the Verizon model of the company. So, the price of the phone is expected to be the around the price of the Verizon model. The price of the Verizon model is about $250. So, the price of this device will be around $250. We didn’t get any information about the price of the device. We will shortly update the price of this amazing product of Asus. Stay tuned to The Reporter Times for the latest news.